Eyes work like a camera. (See the picture.) Eyes are not made perfect. Some eyes are made too big causing near sightedness or myopia. Some eyes are made too small causing far sightedness or hyperopia, and some have a cornea with an unusual curvature causing astigmatism. (When I say that the eye is too big or too small, these changes are very slight. Your eyeball will not appear bigger or smaller to other people if you are near sighted or far sighted. )Older eyes cannot focus up close very well causing presbyopia. All of these conditions require you to wear glasses in order to help you see correctly. Wearing glasses does not make your eyes more dependent on them, so make the best of your situation and wear your glasses! People 200 years ago did not have our easy access to the miracle of glasses. They had to live their life with fuzzy vision all of the time, so pick out a pair of good-looking glasses and wear them! Also, being nearsighted means that you can see better at near than at far (or, you can’t see distance) and being farsighted means that you can see better far than near (or, you can‘t see near). "Far" is defined at optical infinity, which for humans is 20 feet and further in front of you. (Technically, it is 1000 times the aperture size in millimeters with our aperture being the pupil, which is 6 mm in dim illumination. 6 mm X 1000 is 6 meters, or about 20 feet). This is why most eye doctor’s exam lanes have the letters projected 18-20 feet from you. Mirrors are used a lot of the time in order to achieve this 20 foot projection distance. Having astigmatism means that things are fuzzy all of the time, not just near or far but all of the time. You need to wear your glasses all of the time if you have astigmatism. Myopia (nearsightedness): When the eye is too big for its refractive power, light is focused in front of the retina. Minus powered glasses will move the focus of the light back to the retina so that you can see clearly. 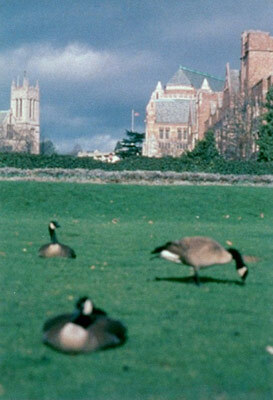 The picture below is how a nearsighted person sees, clear up close and blurry in the distance. Hyperopia (farsightedness): When the eye is too small for its refractive power, light is focused behind the retina. Plus powered glasses will move the focus of the light to the retina so that you can see clearly. The picture below represents what a farsighted person sees, clear in the distance and blurry up close. Astigmatism: When the cornea has a non-spherical shape, this induces astigmatism. Imagine a baseball that is cut in half. The curved half is the shape that most corneas have. If you then take a football and cut it in half along the long axis (or along the stitches), you have two different curves. This is the shape of a cornea that induces astigmatism for a patient. This elongates the image so no matter where you move an object, it is never focused on the retina and is always fuzzy. A lot of people with astigmatism also have some nearsightedness or farsightedness as well. Contact lenses that correct for astigmatism are called toric contact lenses. Fortunately, a newer toric lens has recently been developed, (OSI ultra flex 55 toric lens) that has, for the first time in the past 25 years, provided reliably clear vision. After 25 years of fitting toric contacts, with the success of the OSI, I will try toric contacts in monovision. (For monovision, se below). Before the OSI, the failure rate was close to 80% in these patients. 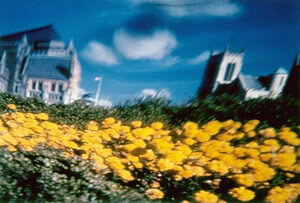 The picture below represents what a person with astigmatism sees, blurry all of the time. Presbyopia: Our ability to focus up close decreases the moment we are born. At around age 44, we notice this as an inability to focus on near objects. Presbyopia requires plus lenses in order for us to see correctly up close, but this prescription is too strong for the distance. We have to use either bifocals or two pairs of glasses in order to see distance (if we need glasses for distance) and up close. Presbyopia is not farsighted at near since nearsighted and farsighted are defined at optical infinity, and presbyopia occurs only at near. Contact lenses can help compensate for presbyopia by either fitting monovision or multifocal contacts. Monovision in contact lens fitting is correcting one eye for distance and one eye for near. You lose your depth perception in monovision but your vision for near and far are typically better than with multifocal soft contact lenses. Usually, the dominant eye or the eye with the best vision is corrected for distance. I find that most patients can function with monovision quite well but monovision will not work in about one in three patients. The loss of your stereopsis is just too much to get use to. Typically, you will know if monovision will not work within about 10 seconds of trying monovision. LASIK is done in the monovision format, one eye for near and one eye for distance, in order to have you see distance and near at the same time without the need for glasses at all. I don't recommend performing LASIK in monovision unless you have been happy in contact lens monovision for at least a year. Bifocal Gas Permeable Contact lenses: An excellent alternative to soft multifocal contact lenses and monovision are gas permeable bifocal contact lenses. They offer the best vision for distance and for near in 95% of patients since both eyes are focused together for distance and near. They are able to do this because the gas permeable contact lens moves up on the eye as you look down. The lens rests on the lower eyelid, which in essence, moves the lens up as you look down, allowing you to look through the bifocal part of the lens. Soft contact lenses do not move on the eye as you look down and must focus near and far together as multifocal lenses do or focus each eye separately, one for distance and one for near as monovision does in order to read near and distance at the same time. Due to this movement on the eye, calledtranslating, gas permeable lenses usually offer vision as good as with lined bifocal glasses, but, just as in lined bifocal glasses, they do not work as well on computers, since you have not looked down into the bifocal part of the lens as you look straight ahead at the computer in front of you. However, a pair of over the counter glasses over the gas permeable contact lenses will do just fine or I can fit the bifocal part of the lens a little higher so only a small head tilt up as you use your computer will work for you. 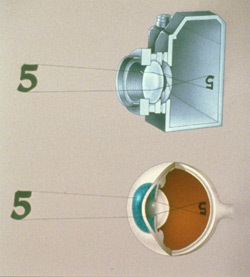 Gas permeable lenses are also easier to clean, using tap water to rinse the cleaner off of them, are composed of 3% water instead of the 50% that soft contact lenses are, and are therefore better on dry eye patients and the risk of infection and red eyes is much lower than with soft contact lenses. They also correct corneal astigmatism very well, much better than soft toric contact lenses do. You can sleep in gas permeable contacts as well! And, the more you wear them, the better since you will lose your adaptation if you don't wear them for a few days. When was the last time an eye doctor encouraged you to use your soft contact lenses every day? So why don't more people know about them? Well, they are complicated to fit so you have to find an eye doctor who can fit them and they are not as comfortable as soft contact lenses, so an in office trial is needed in order to make sure that you can tolerate them. For 50 year old, dry eye patients with astigmatism who desire clear stereoptic vision, gas permeable contact lenses are my #1 choice. Progressive Addition Lenses (PAL‘s): PAL’s come in about 300 different brands. The main reason that they were developed was to get rid of the lines in bifocals. Over the past 25 years, progress has been made in their designs but some of these brands, even some of the most expensive ones, still have a way to go to achieve good distance and near vision. I prefer the Zeiss brand of PAL’s. Specifically the Gradal and GT short PAL’s. ( I have not had good success with the GT2). A number of the PAL companies move the intermediate area up into the distance area with the result that the prescription that I ordered for you is not what you get looking straight ahead. You have to tilt your head down in order to get clear vision. If you have to do this to obtain clear distance vision, you have a PAL that is either not fit correctly or is an poor quality PAL. You need to get the Zeiss brand! In my optical, all we fit is the zeiss PAL. One Hour Service: One hour service labs have been recently shown ( by Consumer Reports) to give less accurate glasses than labs that do all of their work at a controlled centralized lab. Some of the better coatings, such as anti-reflective coatings, require very expensive machinery to do correctly and cannot be done in 1 hour. These machines cannot be placed at 10 different locations in your city so that the glasses can be done in one hour at 10 different locations. These one hour places will try and get you to buy what they can make in one hour, not necessarily what is best for you. My optical prefers to make your glasses with the highest quality labs and place you in the products that are best for you. For single vision without the better coatings, 1 hour service does have a place. Centralized labs do take 5-7 business days to complete the job, however. Ordering PAL’s over the internet: I’m not a big fan of this for the simple reason that PAL’s need to be fit perfectly centered over your pupil in order for you to get the best vision. You can’t do this over the internet. You have to be measured in person with that particular frame on your face in order to get the measurements right. In my practice, we use a computer to measure you for your PAL's so accurately that the measurements are to a tenth of a millimeter. I suspect that a lot of the people ordering PAL’s over the internet are putting up with poorer vision because they have never had good vision with any PAL in the past. (They need the Zeiss brand!). If you want a discount, bring in the price from the internet site to your local doctor/ optician and start from there. Don’t maximize your chances of being unhappy with your PAL’s by ordering them over an internet site. Another problem with buying glasses over the internet is in the selection of eyeglass frames themselves. Frames need to be seen on your face in order to know how they look on you. You can try to guess using the face shape guidelines that these internet sites recommend, but there is no substitute for physically having new frames on your face to see if you like them. Ordering single vision glasses over the internet is probably OK if your prescription isn't too high, since they don’t require measurements to be as exact as PAL’s. You still have the problem of selecting a frame that looks good on your face, however. 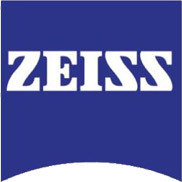 i.Terminal from Zeiss: In fact, I am such a big believer in the importance of exact measurements for PAL's that I have brought the i.terminal from Zeiss into my practice. It will measure your eyeglasses fitting measurements to the 1/10 th of a millimeter and take a picture of your new eyeglass frames on your face so that you can put your current glasses on and see what your new frames look like on you! You can see a demonstration of the i.terminal at www.zeiss.com and type in "i.terminal" in the search box. Computer Glasses: Computers and bifocals/PAL’s don’t work well together. The reason is that you have to tilt your head up a lot in order to get into the reading area of the bifocal/PAL so you can see the computer screen. A separate pair of reading glasses, just for the computer is best, especially if you are on the computer more than one hour per day. Also, above age 50, your computer reading prescription is different than your reading books prescription so your computer glasses probably needs to be a bifocal (or progressive), with the top for the computer and the bottom for reading books. These computer glasses will be blurry for the distance though. There are PAL’s ("computer PALs") that have the computer prescription present in the straight ahead part of the lenses so that when you do look straight ahead, you see the computer well, and they have a small distance prescription part at the top of the glasses for those times when you want to spot something across the room while on the computer. However, this "computer PAL’s" do compromise your vision at the computer by reducing the side to side vision significantly. Single vision/ reading only glasses are the best choice for computers even though it involves two pairs of glasses, one for everyday use and another pair for use just for the computer. Frames: The best quality frames are made in Japan, Italy or Europe. The cheapest frames are made in China. In general, a frame made in China will not last nearly as long as frames made in Japan, Italy or Europe. The exception are some of the designer frames made in China. Some of these companies oversee the production of their frames directly and can produce decent quality frames, although I find that they still don't quite match up to the frames from Japan, Italy or Europe. I like the Konishiline of frames for their quality, durability and appearance, even though they are a "non-designer" line of frames. Konishi frames are mostly made in Japan. Silhouette frames are hand made in Austria and helped define the 3 piece frame so popular for their light weight and minimal look. We also carry eyeglass frames from Coach, 9 West, Juicy Couture, Marc Jacobs, Valentino, Kate Spade, Takumi, Armani, Hugo Boss, Roxy, Quicksilver, Banana Republic, Mira Flex and prescription and non-prescription Wiley X and Rudy Project sunglasses. There are a few guidelines to follow in the selection of attractive eyeglass frames before it becomes a matter of personal taste. Don't pick a frame that is wider than your face or much smaller than the width of your face along the front of the frames. Don't pick a frame that has any part of it going much above your eyebrows. You run the chance of looking too much like Harry Potter, no disrespect to Harry meant. Do pick a frame that is different than your face shape. A frame shape that looks too much like your face shape accents your face shape too much with the effect of you looking less-than-fashionable. You can go to the web site www.eyecessorize.com to see the various face shapes that people have. I don't see "triangular" face shapes when I look at people but that may just be me. I see oval, round and square or a combinations of these 3 shapes most of the time. The key concept is to find an eyeglasses shape different than your face shape. I get asked allot about the different types of lenses in sunglasses and what makes for a good pair of sunglasses or shooting glasses. Let me go over two facts that will make most of this easier to understand. First, blue light scatters more than red light. This is why our sky appears blue. When the sun is on an angle in the sky, the blue light is scattered by the dust/ moisture in the atmosphere and is scattered to reach our eyes on the ground. The red light goes straight through so as we look at the sky, we see more of the blue light than red light and the sky looks blue. At dusk, as the sunlight goes through the atmosphere, the blue light is scattered in all directions away from our eyes. But, the red light travels straight through the atmosphere, reaching our eyes, so the sky at dusk looks more red than blue and we get a pretty red sunset. Why is this important? Because blue light, since it scatters more, is responsible for more of the glare that bothers us and causes us to squint on bright days. So we want a sunglass lens that blocks more of the blue light, which is a reddish lens. (Your shirt appears red to me because all of the colors of the light falling on your red shirt are absorbed by the shirt except red which is bounced off of your shirt to me, where I see your shirt as red). This gave rise to the cheap blu-blocker lenses that are cheap imitations of the Dow-Corning product known as the Serengeti sunglasses. Costco sells the Serengeti sunglasses cheaply, but you cannot get the glasses in prescription or bifocals. (Actually, you can but the Dow-Corning lab is so bad that no-one offers it). What if you want prescription sunglasses? This brings up the second fact.Reflected light off of snow, sand and water tends to be polarized. You need polarized lenses to preferentially block these reflected polarized light rays. It is easy to get prescription polarized lenses from your optical shop. Polarized light is light that oscillates in only one plane, kind of like light that goes through a picket fence. Only rays that are in the same plane or orientation as the fence pickets themselves will go through the fence. (The light going through the fence is like the light coming off of the snow/ sand or water). The sunglasses need to be polarized 90 degrees away from the polarized light coming off of the snow/ sand or water so that no glary polarized light reaches your eyes. What about shooting glasses? Remember our discussion about blue light scattering more than red light we talked about above? 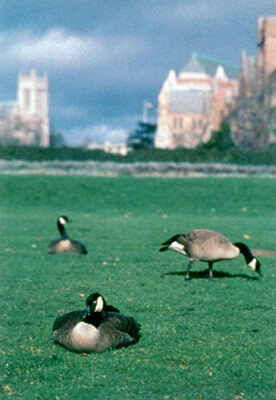 Hunters have a problem at dawn or dusk. They cannot see into shadows very well in order to see their game. Yellow lenses, since they absorb red light and allow blue light through to your eye, will allow glare to come through the lens and enhance the contrast under these dim illumination conditions. This allows the hunters to see their game at dusk or dawn a little better. Yellow lenses, however, are really bad under bright light conditions, since allot more of the glare comes through. The opposite of what you want. I get a kick out of folks that wear their yellow shooting glasses all day. Hollywood does that too, but they do it for theatrical effect, not to comfort the eyes of the actors.